This one is for all those pilots that fly micro types of aircrafts powerwd by 1S battery. 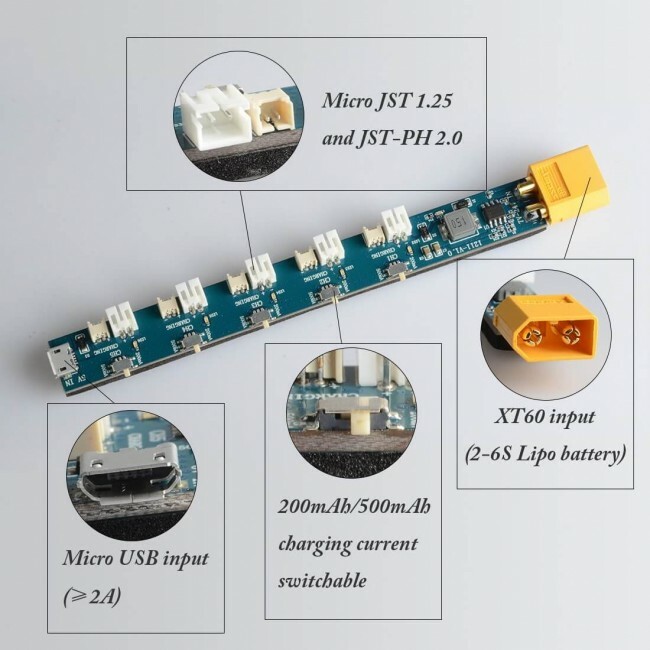 Board itself has 5 independent ports with Micro JST 1.25 and JST-PH 2.0 connectors. 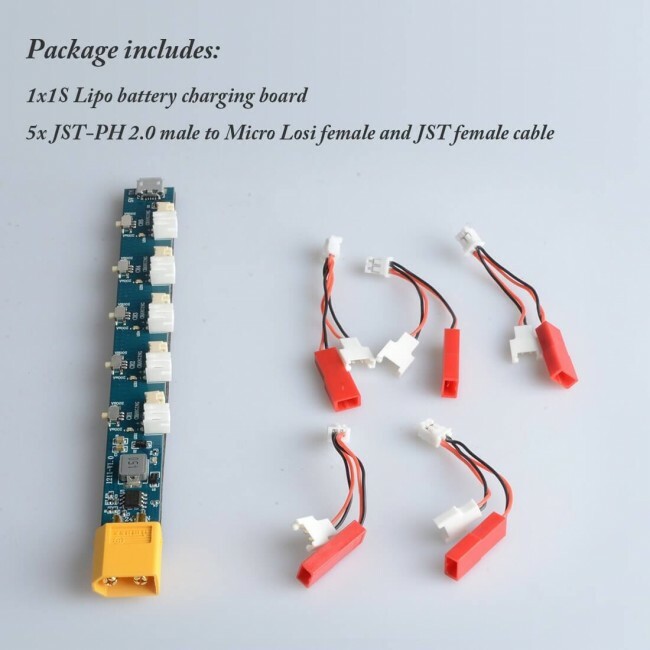 And I received additional 5 pieces of JST-PH 2.0 male to Micro Losi female and JST female cable adapters, which cover all types of 1S battery connectors available on the market. 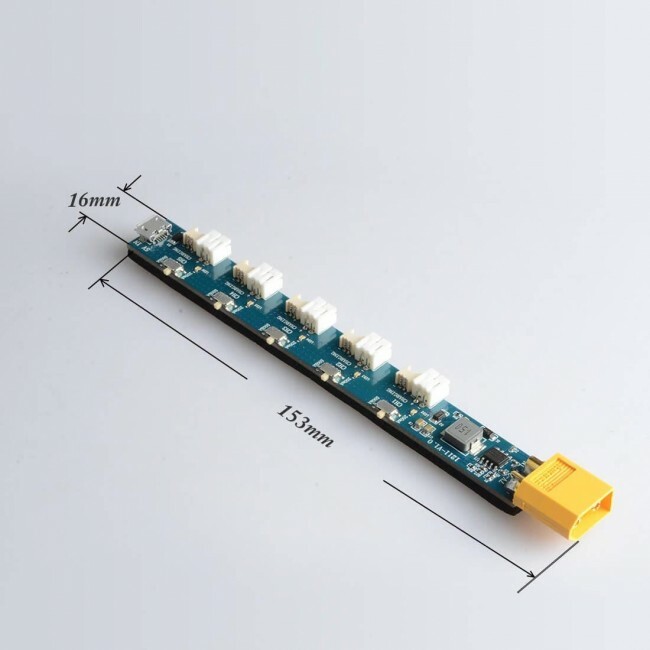 Regarding power supply, you have 2 options. 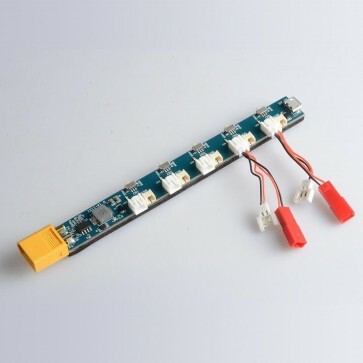 You can use standard USB to micro USB cable or charger from your mobile phone to power this board or any 2-6S LiPo battery with XT60 connector. That is really handy if you want to charge your batteries on the flying field. 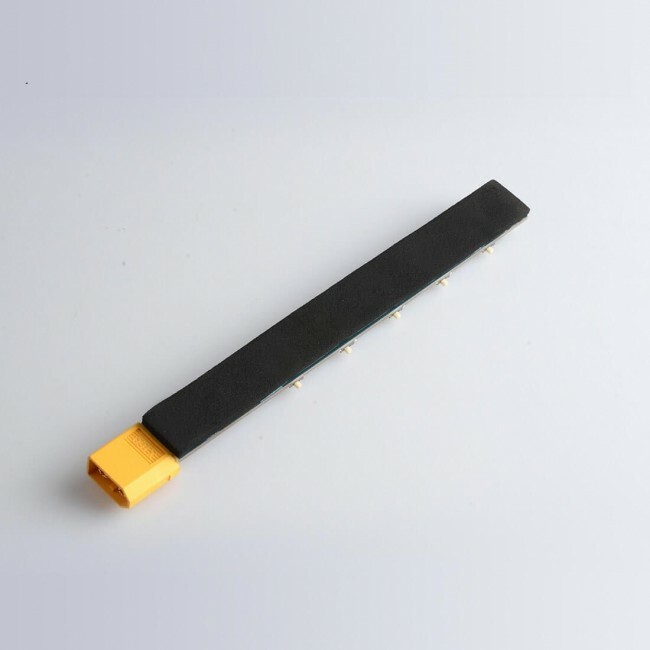 If you use USB cable or mobile phone charger, be sure that it can provide at least 2A of charging current. Another great feature is that for each channel you have switch for changing the charging current from 200mA to 500mA. 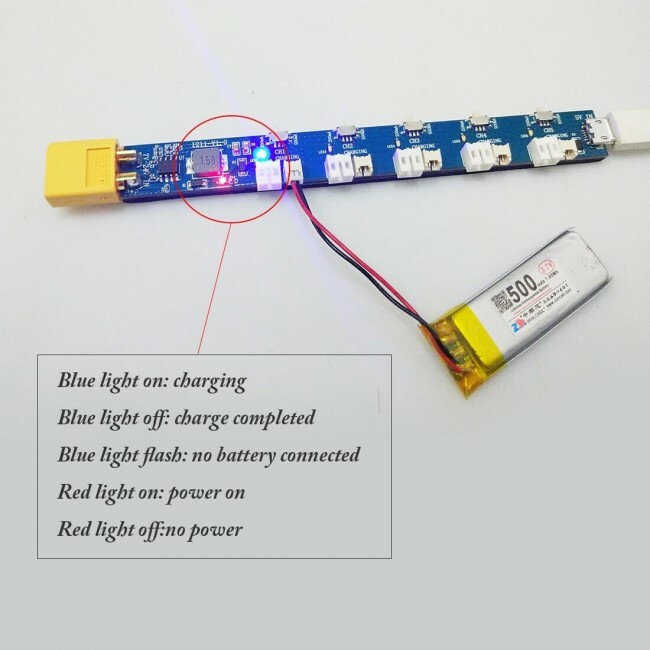 All channels are set to 200mA by default, and I would suggest that you charge your small capacity batteries (up to 500mAh) with that current. 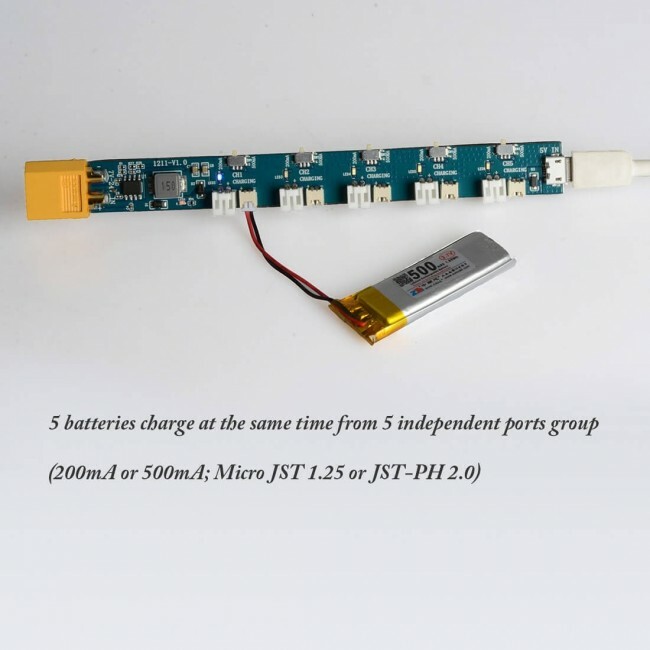 Batteries over 500mAh capacity can be charged with 500mA .current.